Defending champion Uhud Medina (SBL) added to their roster 24-year old American guard Shane Rector (188-82kg-94, college: Utah State). It is actually his comeback to Medina as he has played here before. Rector played earlier this season in UAE with Al Sharjah in D1 league but got released before the league started. The last season he played at Uhud. Rector helped them to win the league title despite they ended the regular season at the second place. A very spectacular season in his career as he was selected Asia-Basket.com All-Saudi Arabian SBL Import Player of the Year, Guard of the Year and named to 1st Team. 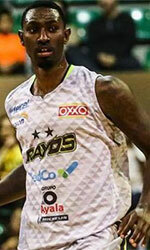 He has played also professionally in TBL (Albany Patroons). Rector attended Utah State until 2017 and it is his second season as a professional player. 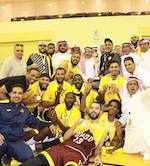 Uhud celebrated Premier League 2018/19 title beating Al-Fath in the Final series. Uhud opened the series with a 101-97 win. In game 2 Uhud Medina grabbed a 101-83 victory. They opened the game with a 25-22 lead and added massive 28-15 surge in the second period. Moreover, Uhud Medina won the third quarter 28-26, while both sides netted 20 points each in the last stanza. Therefore Uhud has claimed the title with a sweep. Uhud and Al-Fath entered the Finals at the Saudi Basketball Premier League 2018/19. Uhud swept the semifinal series against Al-Nasr 2-0. After an 80-78 win in the opener, Uhud closed the series with another narrow 82-80 win. Al-Fath meanwhile lost the opener to Al-Ahli, but then posted two consecutive victories. Al-Fath won game 2 80-76 and celebrated a 74-71 win in the decider.